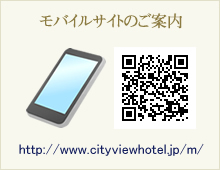 IWAKUNI CITY VIEW HOTEL is located near Iwakuni station. 3 min. from Iwakunistation ( JR Sanyo Main Line ) on foot. 20 min. from Shin-iwakuni station ( JR Sanyo Bullet Train Line ) by car. 25 min. from Shin-iwakuni station ( JR Sanyo Bullet Train Line ) by bus. 20 min.from Iwakuni Interchange by car. 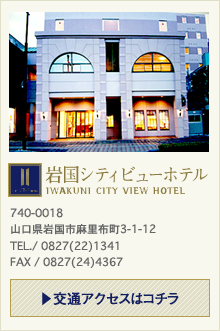 7 min.from Iwakuni kintaikyo airport by car. 15min from Iwakuni port by car. 40min. From Yanai port by car. 47 min. via JR Sanyo Main Line to Iwakuni Station. 18 min. via Shinkansen gullet train to Shin-Iwakuni Station. 2hr ( train + bus ). 1hr.27 min. via Shinkansen to Shin-Iwakuni station. 1hr.41 min. via Shinkansen to Shin-Iwakuni Station. ( take Nozomi to Hiroshima, Then switch ). 2hr.33 min. via Shinkansen to Shin-Iwakuni station. 2hr.13 min. Via Shinkansen to Shin-Iwakuni station. ・1,933 meters long ( 210 meters as measured following the curving surface of the bridge ) 5 meters wide. 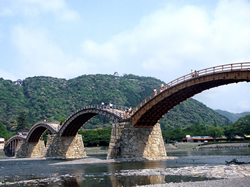 ・Ranks with the Shin Bridge ( in Nikko ) and the Saru Bridge ( in Otsuki ) as one of Japan's "three famous bridges". 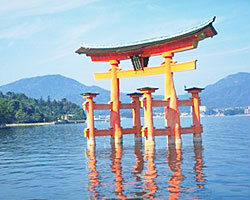 ・One of Japan's "3 Most beautiful Spots"
・Since ancient times, the goddesses have resided on this island. The people have revered and worshipped them. And since the people have endeavored to preserve and nature the beauty of the island, this has brought forth new, fresh, and vibrant beauty. Time-honored, breathtaking beauty and culture. The Island dedicated to the goddesses.